Kelum Jayasinghe is a Professor of accounting. He joined the Essex Business School, University of Essex in September 2008 having previously held positions at the University of Wales (Aberystwyth), University of Bradford (UK), University of Colombo (Sri Lanka). His teaching interests include Management Accounting, Financial Decision Making, and Research Methodology. His academic career is complemented by three years industrial experience in professional accounting and five years experience in providing consultancy services to private and public sector agencies. He is currently performing as an expert panel member of the working group established for the development of UNs Sendai Framework Words into Action implementation guides for accountability and governance, UNSIDR, 2016-2021 (five year programme). He has produced a number of research papers out of his research projects funded by Asian Development Bank (ADB), and University of Wales, Aberystwyth and has publications in Accounting, Auditing and Accountability Journal (AAAJ), Critical Perspectives on Accounting (CPA), Qualitative Research in Accounting and Management (QRAM), International Journal of Critical Accounting (IJCA), and International Journal of Entrepreneurial Behaviour and Research (IJRBR). Research grants received: Grant received from Disaster Management Centre, University of Massey, NZ to study Collaborative Working Accountability in Natural Disasters: The Case of Earthquake Disasters in Christchurch, New Zealand, NZ$11,568 - 2015-16 Grant received from the Research Committee Funds - Essex Business School (EBS), University of Essex, with M. Tasavori, Project title: Critical Role of Governance Structures in Innovative Management of Social Enterprises in UK, 2011/12. 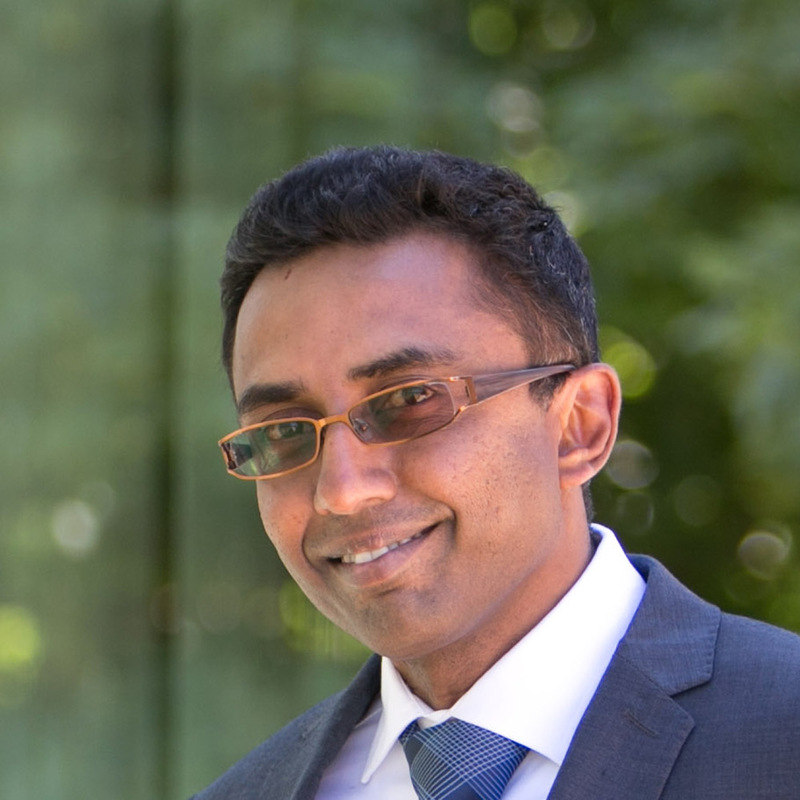 Grant received from the Research Committee Funds - Essex Business School (EBS), University of Essex, with S. Uddin, Project title: Corporate Governance issues within listed companies in Sri Lanka, 2009/10. Grant received from the School of Management and Business (SMB), University of Wales, Aberystwyth, with T. Soobaroyen and D. Thomas, Project Title: Role of Accounting in Organisational Change at the Talyllyn Railway Co., June to August, 2007. Grant received from The Asian Development Bank (ADB) for completing the PhD degree in the University of Bradford, January 2002 to December 2005. The Development of the Art of Governing in Nepal until 1950: A consideration of the roles of accounting and management in the emergence of one contemporary form of Governmentality, with P. Adhikari and Keith Hoskin, Accounting, Organizations and Society (AOS). Participatory Budgeting in an Indigenous Community: A Case Study from Indonesian Local Government, with P. Adhikari, Local Government Studies. Accountability of Collaborative Governance in Emergency Management Response: the lessons from Christchurch Earthquake Recovery, with C. Kenney, R. Prasanna, and Jerry Velasquez (UNISDR), Journal of Accounting and Organisational Change (JOAC). NPM, Accountability and PPP: A case of London Underground, with Uddin, S. and Khadaroo, I., International Review of Administrative Sciences. Exploring the bounds of Bounded Emotionality in Polygamous Family Business of Nigeria, with M. Tasavori and D. Thomas, International Journal of Entrepreneurial Behavior and Research (IJEBR). Organizational Identity, Identification and Accounting: An Empirical Study in a Museum Railway, with T. Soobaroyen and D. Thomas, with T. Soobaroyen and D. Thomas, Target Journal: Journal of Non-profit and Voluntary Sector Quarterly. Collaborative Accountability Policy and Practice in Disaster Management: the Actor Network Analysis of Post-Tsunami Recovery Context in Sri Lanka, with Siriwardena, N. and Prasanna, R., Target Journal: Development and Change. Global Governance and the Politics of Aid: the political economy of Sri Lanka in the age of changing global order, Target Journal: Journal of Accounting in Emerging Economies (JAEC). Accounting in Hegemonic Struggle and Popular Culture: The Case of Premiership Football in UK (with A, Shoba and S. Matilal), Target journal: Sociology. Micro-Level Analysis of the Contextual Index of MOP and/ or MACS in Product Manufacturing: A Case Study Evidence from Ghana, with J. Agyemang and R. M. de Santana, Target Journal: Critical Perspectives on Accounting (CPA). Balancing Communitarian Governance and Social Entrepreneurship: the Case Study of Social Enterprises in UK, with M. Tasavori, Target journal: Journal of Social Entrepreneurship. Foucaultian Analysis of Governance in a Sri Lankan Prison, Target Journal: Accounting, Organisations and Society (AOS). Micro-Level Analysis of the Contextual Index of MOP and/ or MACS in Product Manufacturing: A Case Study Evidence from Ghana, with J. Agyemang and R. M. de Santana, Interdisciplinary Perspectives on Accounting (IPA) Conference, Stockholm, Sweden, 2015. Global Governance and the Politics of Aid: the political economy of Sri Lanka in the age of changing global order, Symposium on Global Governance and Politics of Aid, Bradford Centre for International Development (BCID), University of Bradford, 2015. Scandals from an Island: Testing Anglo-American Corporate Governance Frameworks, with S. Uddin, Critical Perspectives on Accounting Conference Proceedings, 2014. Agential Conflicts and Accounting Reforms in Less Developed Countries: The Case of the Nepalese Central Government, with P. Adhikari, Paper presented at the Seventh Asia Pacific Interdisciplinary Research in Accounting Conference (APIRA) Conference proceedings, 2013. The Dialectic of Control and the Institutionalization of Government Accounting Reforms in Less Developed Countries: The Case of the Nepalese Central Government, with P. Adhikari, 9th Workshop, British Accounting and Finance Association (BAFA), Accounting and Finance in Emerging Economies, Special Interest Group Conference Proceedings, 2013. The New Public Management (NPM) and Management Control in Greek Show-Caves, Kartalis, N. D. and Tsamenyi, M., Interdisciplinary Perspectives in Accounting on Accounting (IPA) Conference Proceedings, 2012. Social Construction of Premiership Football Discourse in England: the Critical Role of Accounting, with S. Matilal, Critical Management Studies (CMS) Conference Proceedings, 2011. Continuity and Change of World Bank Development Discourses: the Rhetoric role of Accounting, with S. Uddin, Asia and Pacific Interdisciplinary Research in Accounting (APIRA) Conference Proceedings, 2010. Accounting and Emotional Labour in Narratives of Organisational Change: The Case Study of a Heritage Organization, with T. Soobaroyen and D. Thomas, Interdisciplinary Perspectives in Accounting on Accounting (IPA) Conference Proceedings, 2009. Resource Allocation in the Field of Poverty Alleviation, a Joint Paper with D. Wickramasinghe, BA-ALDEE Conference Proceedings, 2009. Constructivist Epistemology and Qualitative Methodology in Accounting Education: Reflections from an Experimental Action Research Cycle in Management Accounting, Accounting Education Conference Proceedings, 2009. Accounting as the Language of Paradigm Shift: a Case Study of Organizational Change in a Heritage Organization, with T. Soobaroyen and D. Thomas, Critical Perspectives on Accounting Conference Proceedings, 2008. Spirit of Religion and People's Perceptions of Accountability In Buddhist and Hindu Religious Organisations: A Story from Non-Western Societies, with T. Soobaroyen, Asia and Pacific Interdisciplinary Research in Accounting (APIRA) Conference Proceedings, 2007. Calculative Practices in a Total Institution, With D. Wickramasinghe, Critical Management Group (CMG) Seminars, Manchester Business School, April 2005, Critical Perspective on Accounting (CPA) Conference Proceedings, 2005, Accounting and Subalternity Conference Proceedings, Schulich School of Business, 2007. Can NGOs Deliver Accountability, Predictions, Realities and Difficulties, with D. Wickramasinghe, Institute for Development Policy and Management (IDPM) Conference Proceedings, 2005 and Interdisciplinary Perspectives on Accounting (IPA) Conference Proceedings, 2006. The Development of the Art of Governing in Nepal until 1950: A consideration of the roles of accounting and management in the emergence of one contemporary form of Governmentality, with P. Adhikari and Keith Hoskin, Paper presented at the Seventh Asia Pacific Interdisciplinary Research in Accounting Conference (APIRA) Conference proceedings, RMIT, Melbourne, 2016. Accounting for 'Dictatorship: the Calculative Principles and Governmentality Rationales during the Rana Regime in Nepal (1846-1950), with P. Adhikari, 10th workshop, BAFA-AFEE Conference Proceedings, 2014. Thesis title: Management Accounting Control and Managerial Bullying; Economic, Social, and Political Dynamics in Bangladesh Rmg Sector.